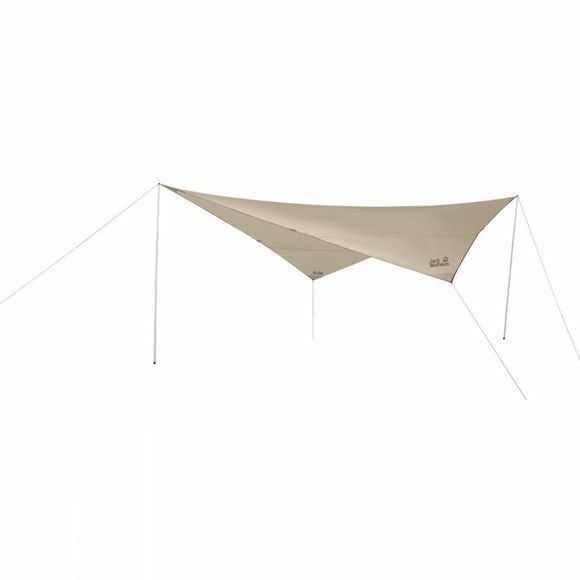 A handy piece of kit for the campsite, beach or trail, the Moonshadow Tarp is a large tarp that provides a simple yet reliable roof over your head. It can be used as a group shelter for rest breaks out on the trail. And it's big enough for at least four people to sleep under it. 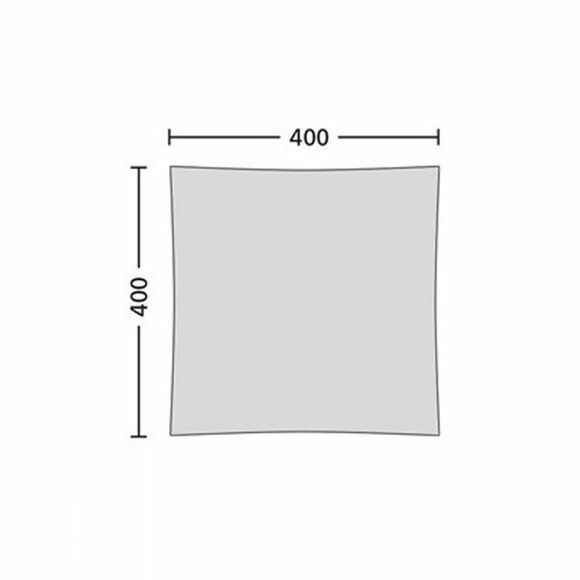 The slightly curved rectangular shape means it stays taut when rigged and provides protection from the sun and rain. All of the guying points are additionally reinforced. If no convenient trees are available the tarp can be pitched with the help of a couple of our TELESCOPIC POLE rigging poles. The telescopic poles are not included with the tarp but are available separately.